Richard 'Rupert' Long - 'Rupert Long' because he had a model of Rupert Bear stuck inside the rear window looking out. Later he had a large drawing of Rupert The Bear on the roof of his car. He raced at Brands Hatch and Ingliston and ...? Richard 'Rupert' Long, of 1-litre Anglia fame (amongst other things) has got a demon new saloon project up his sleeve. Trouble is, the rotten sod won't tell me what it is. I'll keep nagging him for info, so watch these pages for further details. 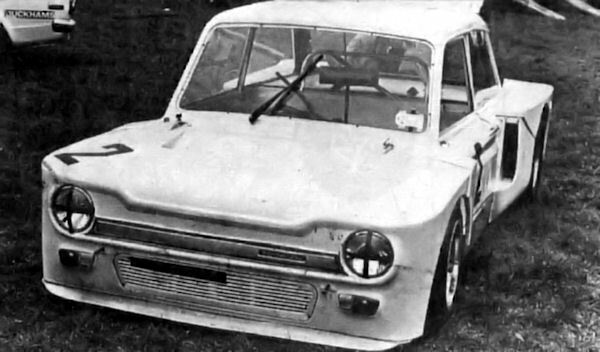 In 1977, Richard Long had a 1-litre Greetham Imp (black with red and white lettering). 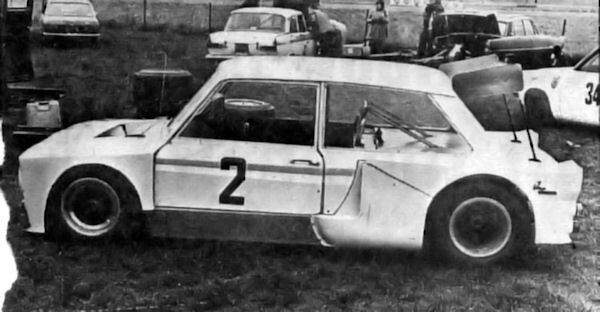 There's a photo of it at Mallory Park, October 1977 on ingliston-circuit.co.uk. 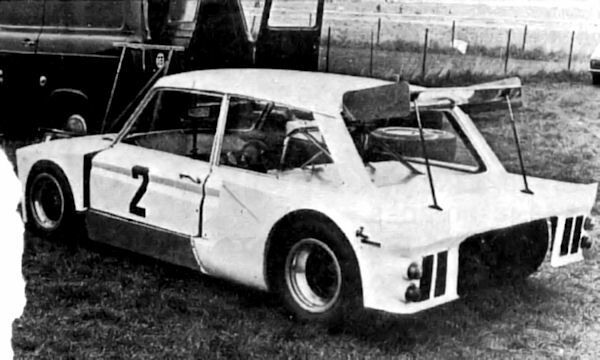 A gentleman (pen name 'erisbiste') on some forum says he used to race at Donnington and Brands in 1978 in the ex Richard Long spaceframe Anglia, built by Richard Wallinger. Maybe Richard Long raced at Donnington, too.